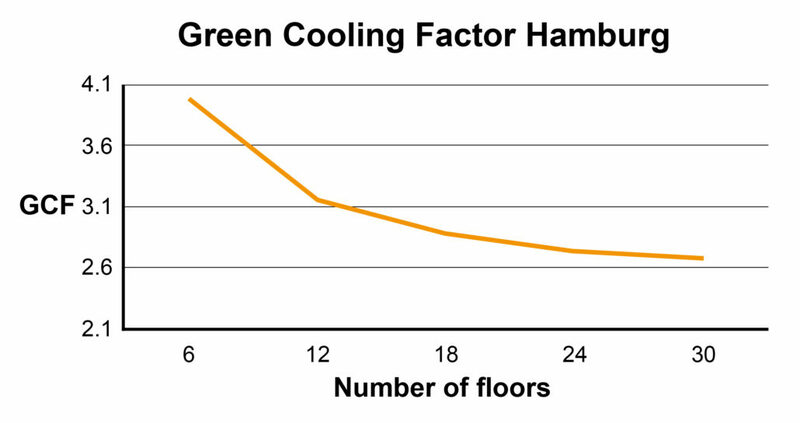 The Green Density Factor and Green Cooling Factor will address architects (since roofs and facade surfaces will be affected), developers/planners (detailed decisions based on the predictions) and decision makers (politicians) – as well as a variety of specialists working in the fields of water management, city climate and sustainability. The factors allow to adjust/optimize the entire building regarding its shape, the energy systems and the exterior greenery towards environmental buildings and cities. 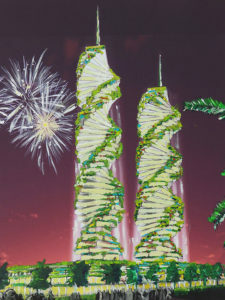 Furthermore, the factors will allow cities to set guidelines for upcoming construction projects using these factors to set the cooling capacity and/or the amount of greenery which has to be used in order to ensure a cool and sustainable climate surrounding, conquering the city heat island problem in decreasing overall city heat. Using this approach, architects and city planners are able at a very early stage to include it into a life-cycle-assessment of the building and increase its value through the benefits of the exterior greenery such as the cooling capacity as well as contribute towards a beautiful place to live in. 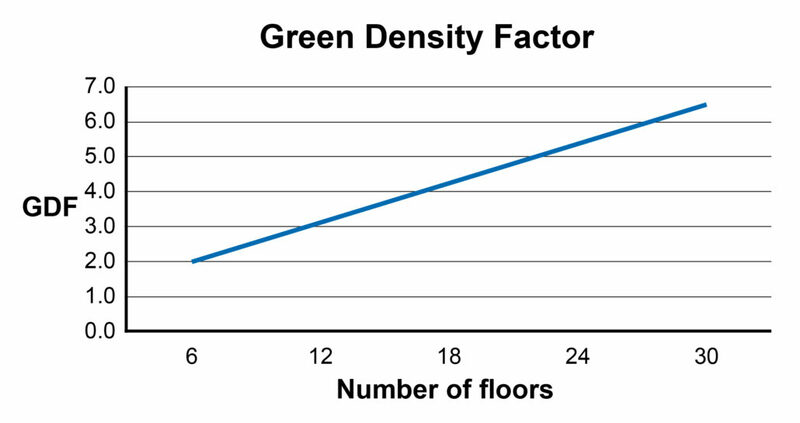 The GDF relates the amount of exterior greenery on facades and roofs to the paved footprint of the building. The more exterior areas are vegetated the higher the GDF and the lower the city heat. Following this approach, the negative effects on the city climate as a result of paved areas can be (over)compensated by exterior vegetation, including other positive consequences that follow. It should be noted, however, that there are other negative effects resulting from paved city surfaces (e.g. on the soil and ground water) that can be partly recovered by vegetated buildings regarding the two factors. Based on the GDF, the Green Cooling Factor (GCF) will allow to calculate the cooling impact of the building vegetation into the city micro climate. The cooling effect is a result of evapotranspiration of the plants. The cooling capacity measured in Kilo-Watt-hour (kWh) per year will be compared to the building energy used in heating, ventilation and air condition (HVAC), as well as the electrical components of the building installation. Both will be measured against each other, in order to overcompensate the heating of the environment.